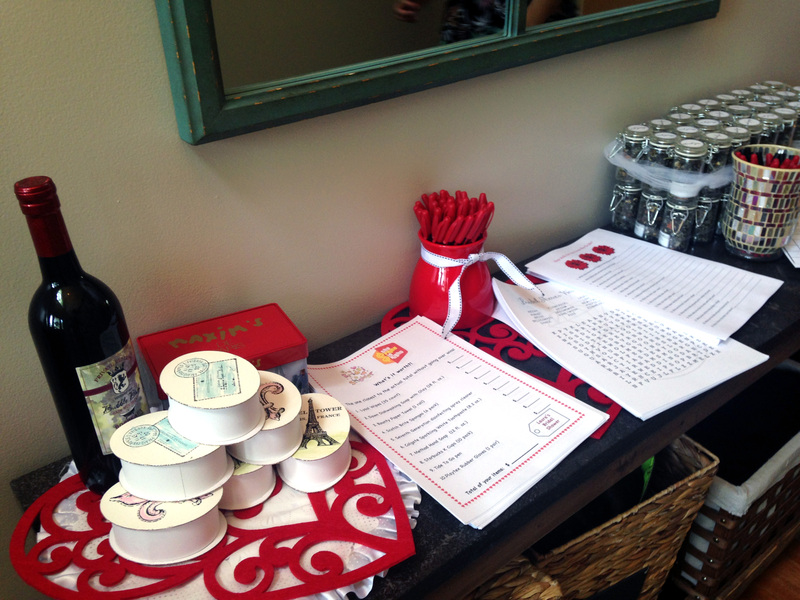 Fête means "party" (high school French finally paid off). 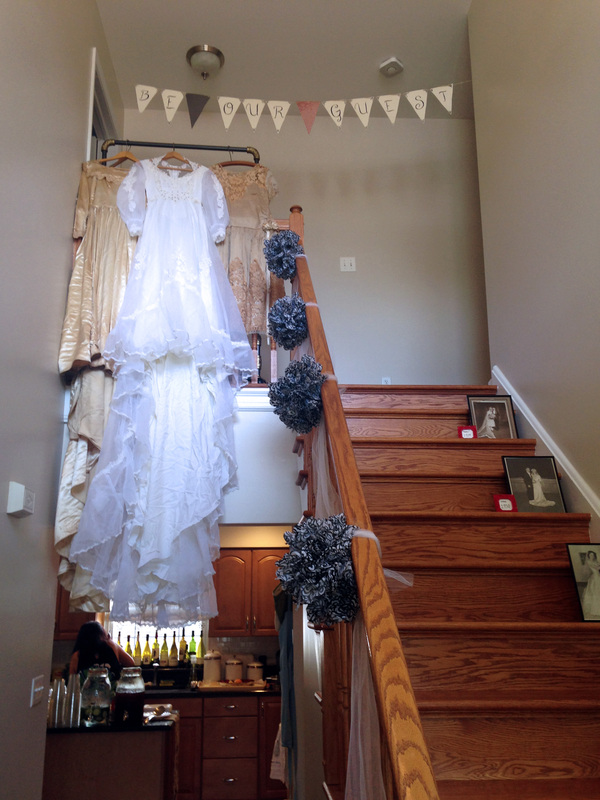 I was able to track down the wedding dresses from 3 generations earlier, all the way back to the 1920's! 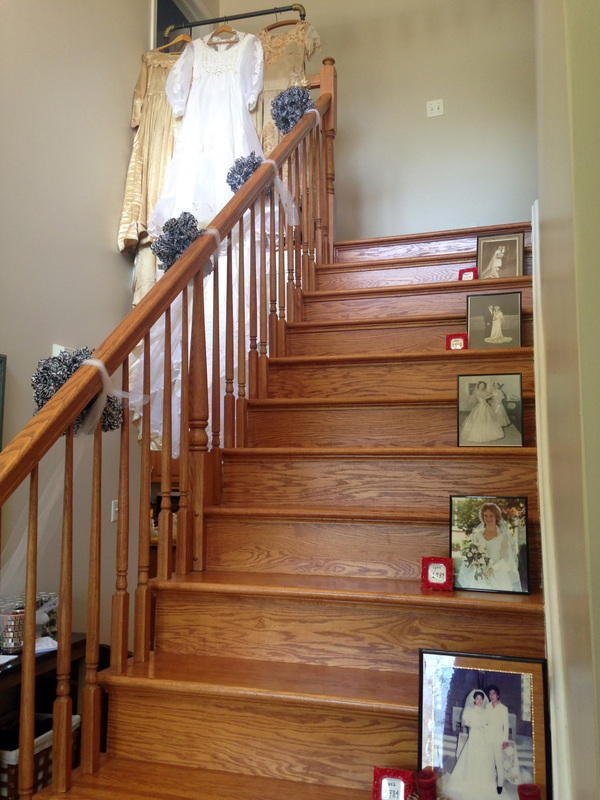 The stairway featured wedding day photos of each of the brides in Laura's family as well as her fiancé's mother and father. 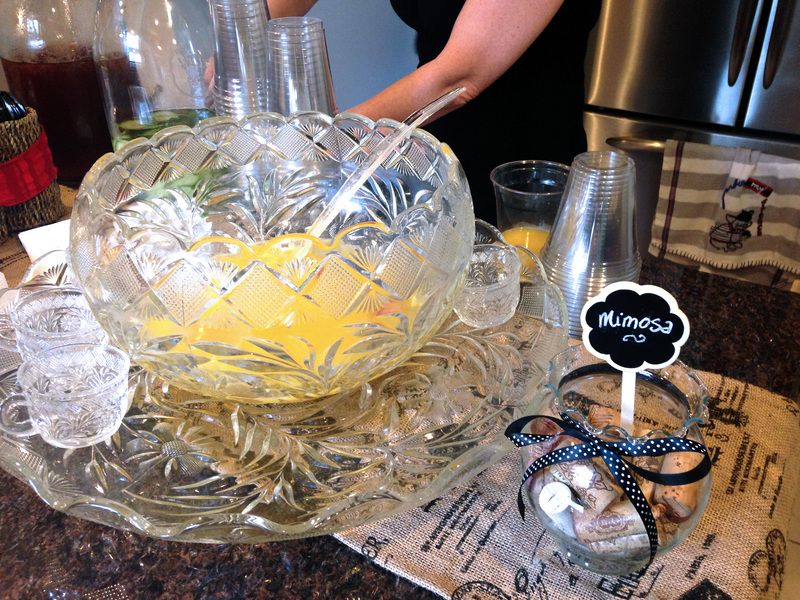 No brunch is complete without mimosas. 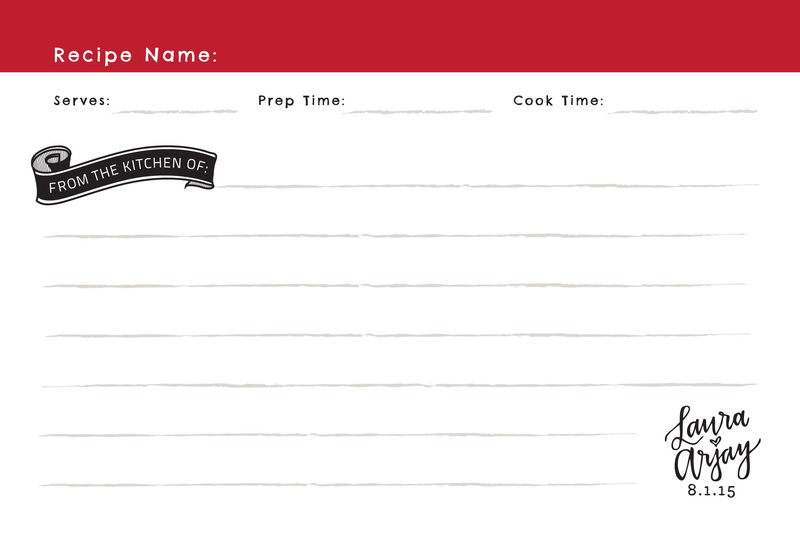 An apron guestbook & gift in one. 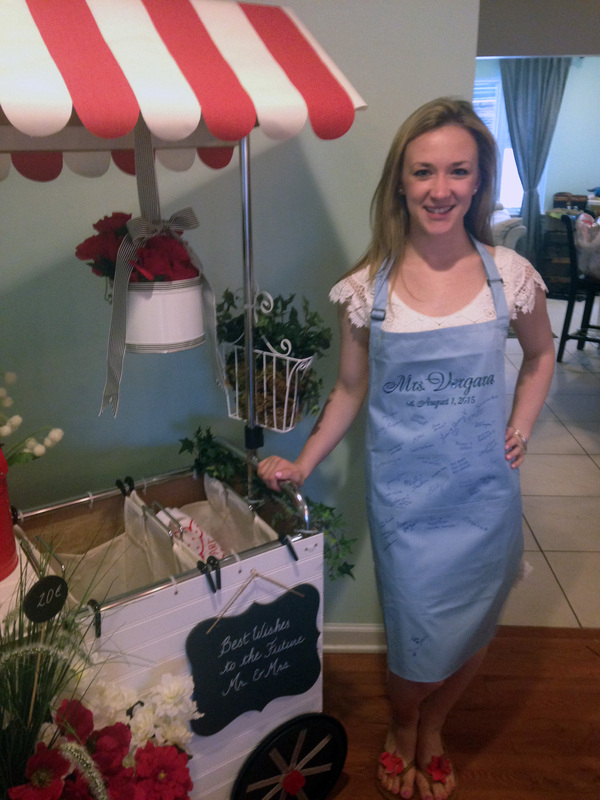 Laura shows off her new apron. 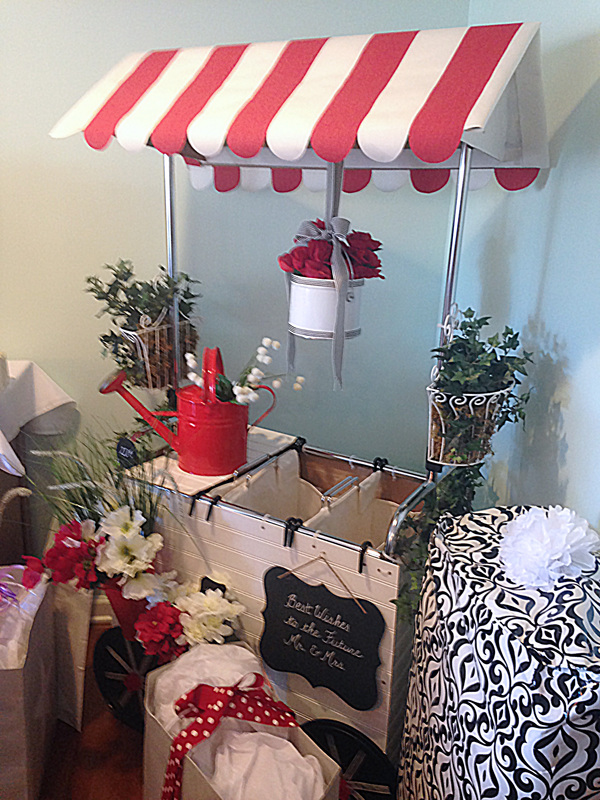 This is the laundry basket / flower cart prop where we loaded presents. 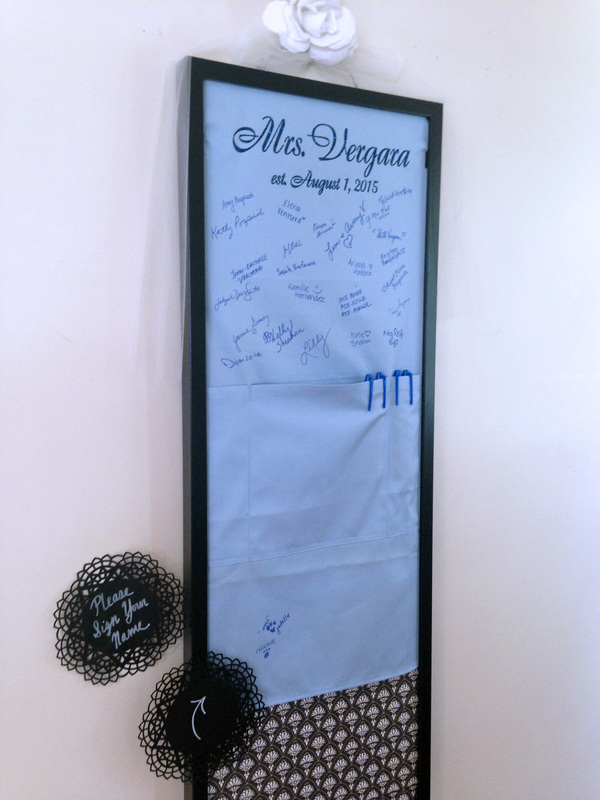 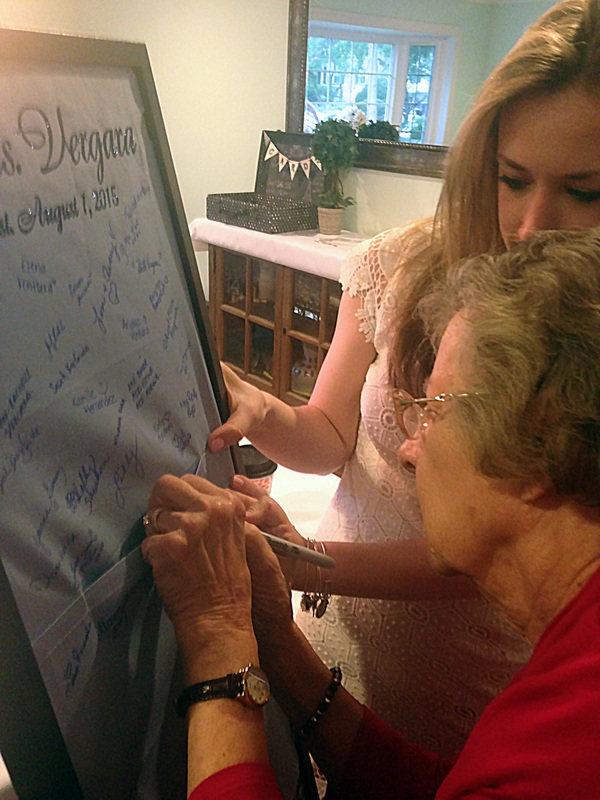 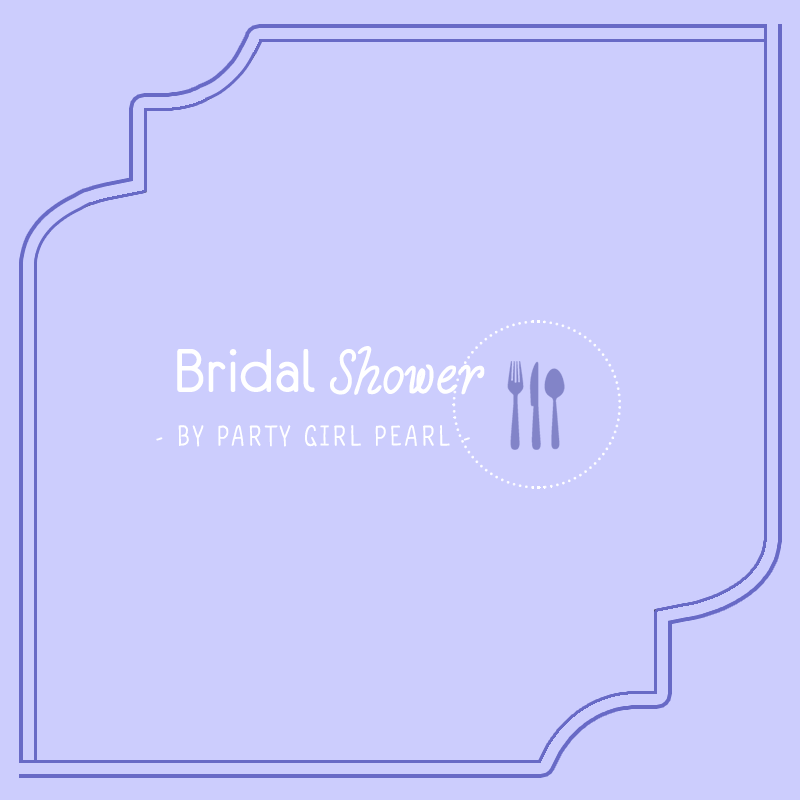 Guests shared their favorite recipe and the bridesmaids gifted a wooden recipe box. 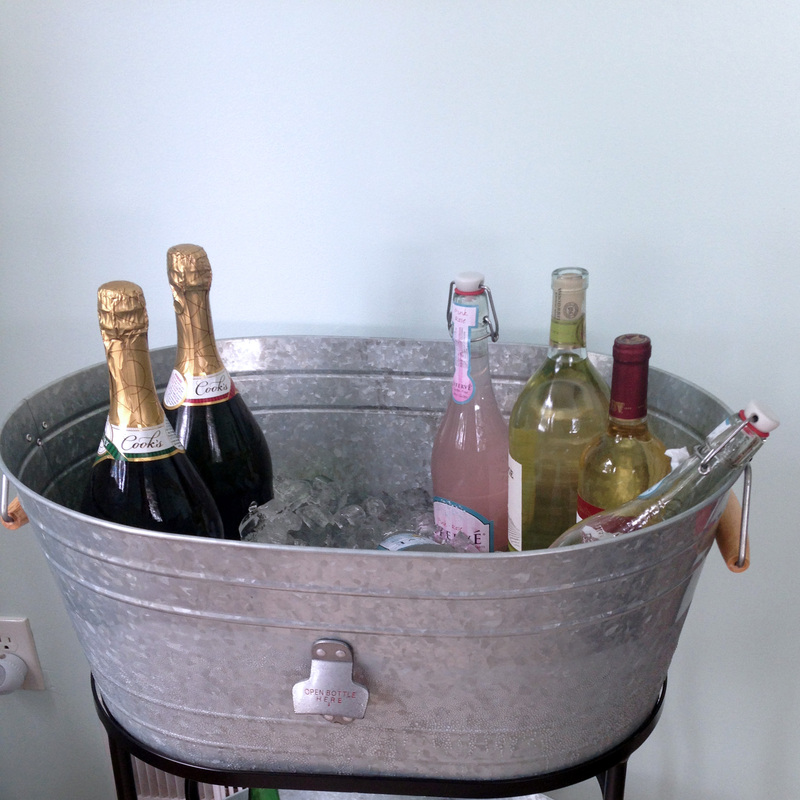 Adorable cooler for lemonade and champagne. 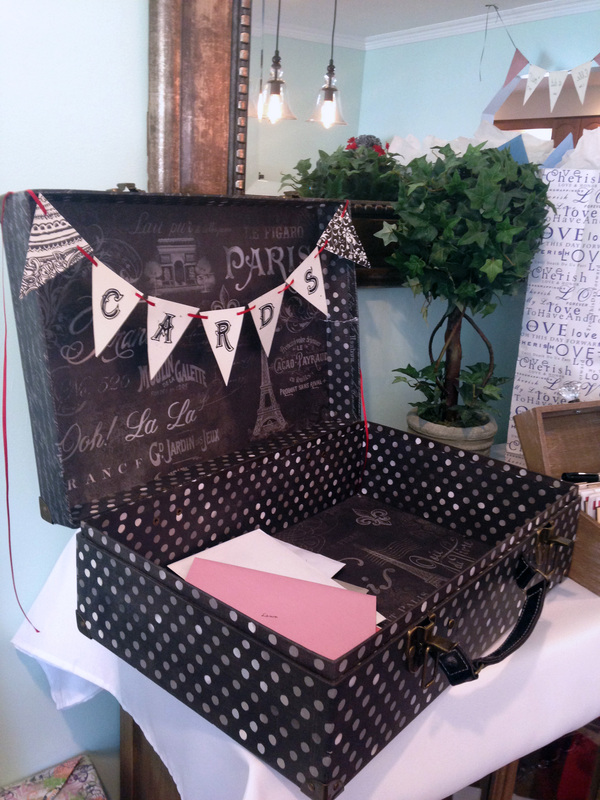 Card holder with French flair. 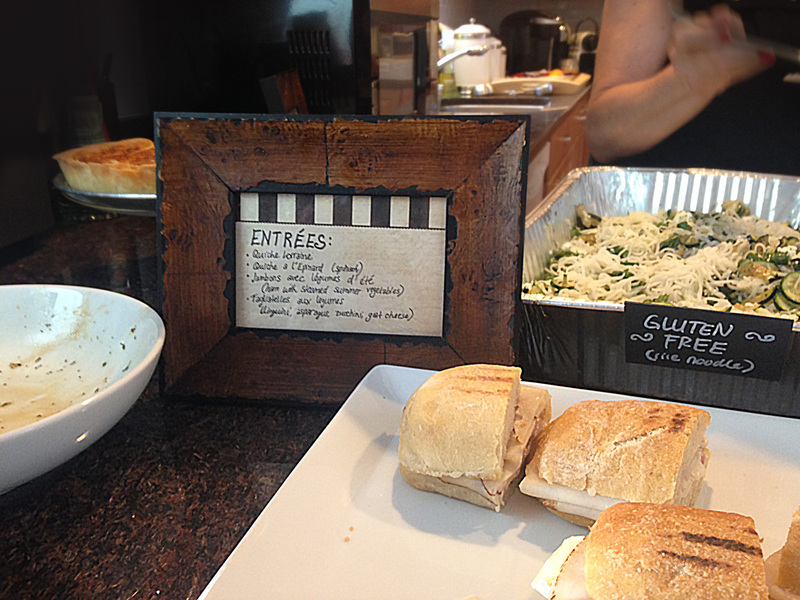 Food signage with French flair. 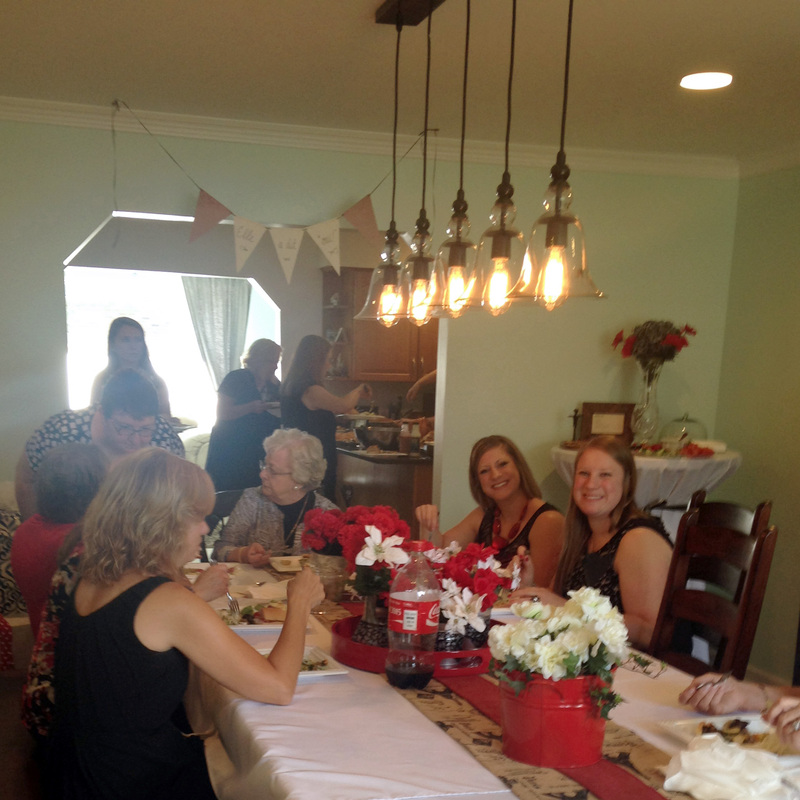 Activities keep the party going while the bride opens her presents. 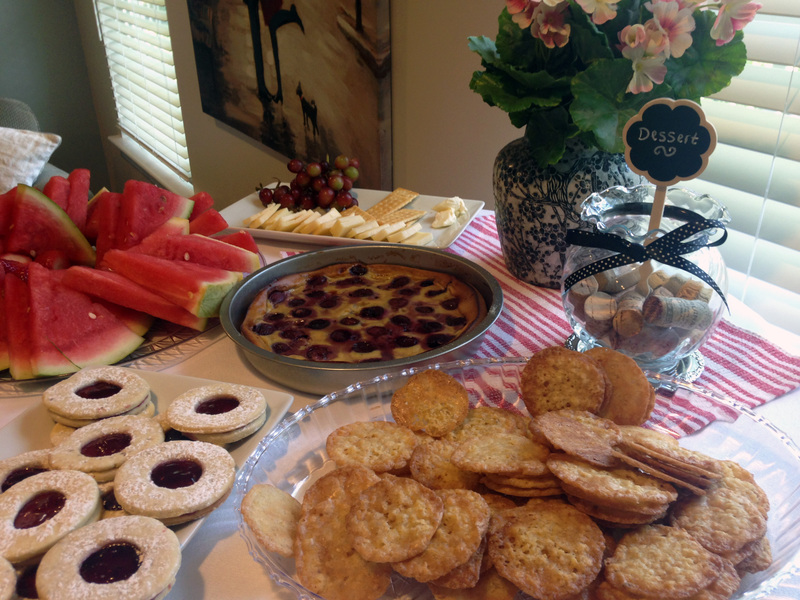 Many of our guests brought home-cooked desserts to share. 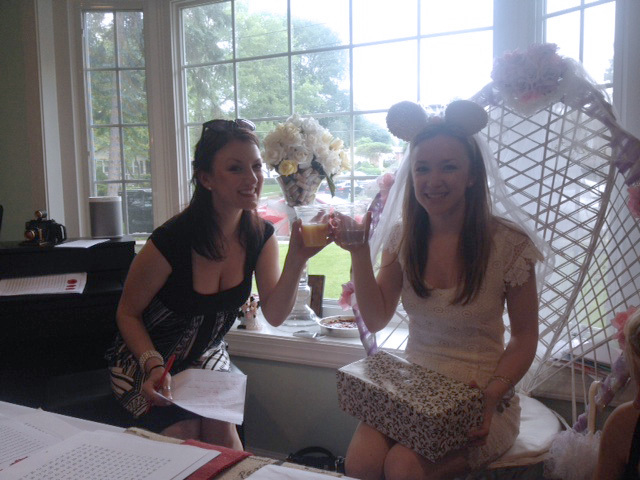 Maid of honor duties include keeping track of presents during the shower as well as drinking mimosas with the bride.